Social scientists are a difficult lot! A proven fact in seeking to find them a mere 42/3 years on! Well over a year ago I suddenly felt an urge to get back together with others who graduated in 1975 and 1976. Both years because I was lucky to straddle two intakes having started the Degree in 1972 but then having a year out in a SU Sabbatical post (Deputy-President 1974/5) and so finally graduating in 1976. Why after so long? Of that I am not sure but perhaps nostalgic thoughts get stronger as you age and my partner’s 10 yearly Town Planning Reunion was imminent again. Anyway a combination of these two things triggered a desire to seek out others. An initial search wasn’t exactly hugely successful but from little acorns! An initial two of us slowly built up to a massive 15 of whom three were lecturers. For various reasons not all could make it on the allotted day but for those who did it was great. 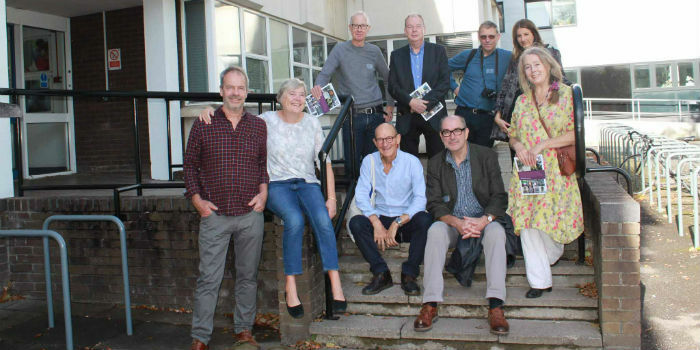 We met at the Poly (sorry University) and quickly went back those 40+ years. The stories – bands, politics, the stress of 3 lectures/seminars pw (! )- came rushing back. We of course reflected on how lucky our generation was: grants, no fees etc. Mollie Ashley from the Alumni office gave us a tour of the University, now so big by comparison with our day. The building our Department was housed in is still there. Back then it was spanking new; at the cutting edge of the polytechnic revolution. Today it looked tired and old (perhaps abit like us!!) set against the other more recent modern buildings. Universities are rich and rather powerful institutions today. From there we went to a pub in Headington and drank, ate and talked for a few hours. It was a wonderful experience and there was a consensus that we should repeat it in 2019 with the intention of doubling the numbers. 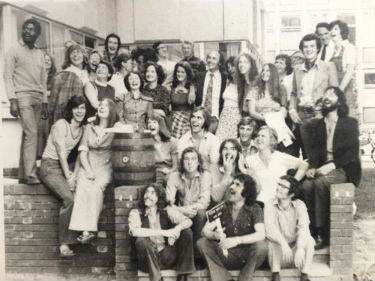 If you’re one of the elusive BASS 1975 or 1976 graduates and fancy a nostalgia trip then do please contact one of us.